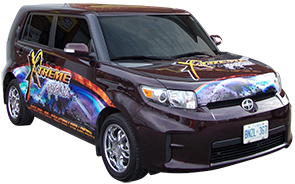 From decals to full vehicle wraps, Xtreme Graphix does it all! Consult with our designers to find out how we can turn your business vehicle into a mobile billboard! 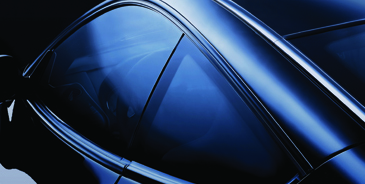 Window tinting is an easy way to make your vehicle look good and protect your privacy. Ask us about our new heat-blocking ceramic tint, available in three different shades (including clear)! Xtreme Graphix’ paint protection film will keep your vehicle safe from stone chips, road debris, and other minor scratches and abrasions. Xtreme Graphix & Auto Trim Inc. has been serving London and surrounding areas since 2001. From pin-striping to complete vehicle wraps, we offer a wide range of vehicle customization and branding. Alongside our graphics division we offer complete window tinting services. 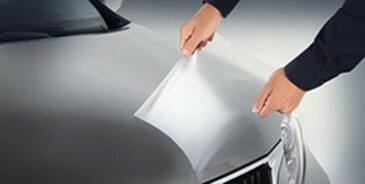 And if you're looking to protect a new vehicle investment, our paint protection film will guard your vehicle from stone chips. The atmosphere in our shop is special because team members are encouraged to be individuals and are given a say in key decisions. Our team is more like a family, and it shows every day. Come experience that kind of difference. Jake joined our team in 2014 as one of our window tinting installers. His attention to detail and aptitude for film installation made him the ideal choice for our team, and it shows in each vehicle that goes out the door! Ed has over 30 years experience in the automotive industry and provides a consistent atmosphere at Xtreme as its owner. He leads by example, keeping the team running smoothly while also working hard every day as our paint protection film installer. For over 10 years, Sue has greeted our customers with enthusiasm and her genuine interest in meeting their needs. Besides managing our office, she offers a wealth of information, and can answer any questions you may have regarding our paint protection and tint services. James joined our team in 2017 and has become an important asset to our tint department. His attention to detail keep our loyal customers coming back! Annette is one of the original team members who has been with us since day one. Her talents as a designer and installer have made Xtreme Graphix the success it is today. Her attention to every detail ensures only the highest quality of work leaves our doors. We welcomed John to our team in 2013. With over 10 years experience as a graphic designer, he’s always ready for a challenge. His professionalism and customer service will be at the forefront of his efforts to make your dream a reality! How can we help increase the power of your brand? Contact us to schedule an appointment! Copyright © Xtreme Graphix & Auto Trim Inc.